A Central Maine Power smart meter displays electricity usage at a business in Freeport. 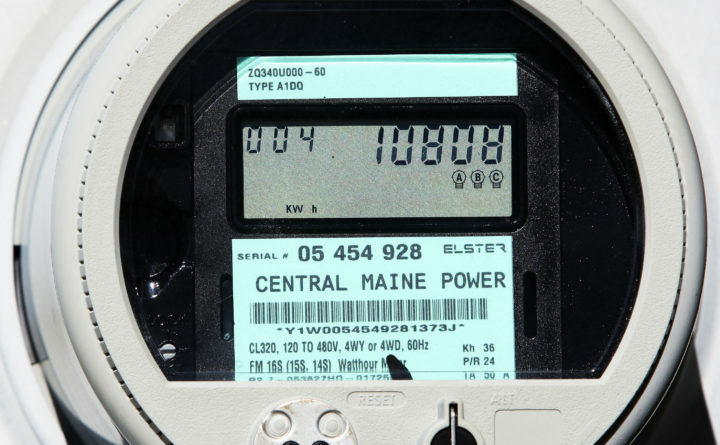 The Maine Public Utilities Commission has decided to launch a full investigtion into the metering and billing systems of Central Maine Power after numerous customer complaints of high bills. The Maine Public Utilities Commission voted Tuesday to launch a formal investigation into complaints of high bills from Central Maine Power customers. The move comes after an independent forensic auditor, Liberty Consulting Group of Pennsylvania, found Central Maine Power Co.’s metering and new billing system are not to blame for the high bills last winter that had some consumers paying hundreds of dollars more than they had previously paid. However, the audit found errors that could affect thousands of customers. It also faulted CMP for not handling the transition to its new billing system in October 2017 well enough, causing concern among consumers. Maine’s Office of the Public Advocate subsequently asked the PUC to continue the investigation of high bills separately from an ongoing investigation of CMP rates. PUC Chairman Mark Vannoy and Commissioners R. Bruce Williamson and Randall Davis agreed that the forensic audit by Liberty gave them sufficient grounds to launch a full investigation, including discovery of facts and examination of witnesses. “Central Maine Power has made a dismal mess of things in customer care and billing,” Williamson said during commission deliberations Tuesday morning. He said CMP should have postponed the launch of its new billing system until the utility had thoroughly tested it. Vannoy suggested, and the two other commissioners agreed, that the three components of the audit be separated into two items. The customer billing issues are to be lumped into the ongoing rate case. The billing and metering issues will be in a separate adjudicated full investigation.